AdMarula is a specialist performance marketing network specifically setup for the South African market. As a performance marketing company AdMarula helps advertisers connect with approved publishers to drive conversions using PPC, lead generation, and revenue share campaigns. The AdMarula platform provides advertisers with access to the secure AdMarula interface where they can view campaign statistics, creatives, CTR (click-through-rate), conversions, top selling products, leads, transactions and much more. The easy to use interface allows advertisers to access and unlock the potential of performance marketing, whilst bringing pure transparency to the affiliate marketing space. 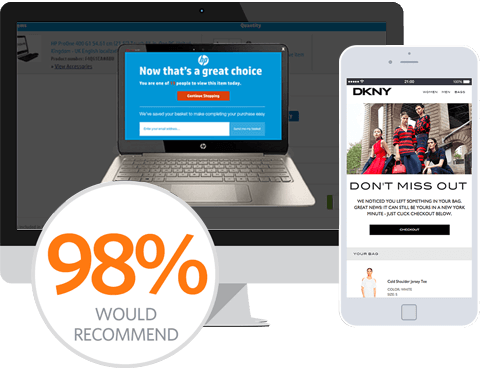 SaleCycle can work with AdMarula to provide advertisers with the opportunity to drive traffic back to their site through various remarketing solutions. SaleCycle’s capacity to work with AdMarula, means we are able to make it fast and easy for clients to deploy the SaleCycle tag without the need for any developer help. As the SaleCycle tag can be deployed so easily through the AdMarula network, client’s can expect to be benefiting from our remarketing solutions even more quickly. As a publisher on the AdMarula network, client’s are able to view, track, and analyze all of SaleCycle’s attributions and conversions in real-time on the AdMarula platform. This makes it super easy to access your remarketing stats within your wider marketing strategy. Client’s can expect continual communication between all three parties to analyze performance and identify where remarketing campaigns can be further optimized. View all of SaleCycle's remarketing stats in the AdMarula platform. Deploy SaleCycle tag through the AdMarula network without the need for developer help. Continual comminication to update and further optimize remarketing campaigns.